Transient Ischemic Attack (TIA), or eye strokes, are caused when veins or arteries become blocked, resulting in decreased or loss vision. There are four different types of TIA's and these types are determined by the location of the problem. Branch Retinal Artery Occlusion (BRAO) - This type of eye stroke can lead to loss of peripheral and, less often, central vision. Glaucoma medication is often prescribed to manage the problem and ocular massage or a fluid tap may be recommended. Branch Retinal Vein Occlusion (BRVO) - Possible results of this eye stroke are vision loss in the periphery, decreased vision, distorted vision or blind spots. Often this type of occlusion will be addressed with a fluorescein angiogram. While some of these conditions heal on their own after a few months, treatments include laser photocoagulation. Central Retinal Artery Occlusion (CRAO) - Characterized by a sudden loss of vision in one eye, this type of occlusion is painless and often follows periodic episodes of vision loss. Many treatments are available. 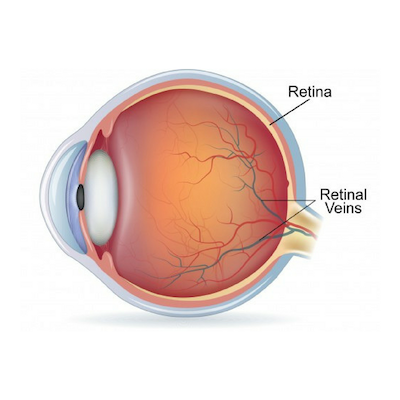 Central Retinal Vein Occlusion (CRVO) - Resulting in sudden vision loss ranging in severity, this type of eye stroke includes two differing types that are both treatable using laser technology. If you are have questions about eye occlusions, please contact us today to schedule an appointment.